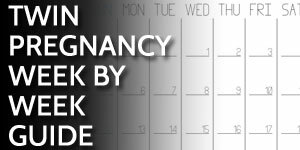 As you prepare for your twins and stock up on the necessary twin baby gear, you will be spending lots of money. Make sure you don’t spend more than you need to. Even though you may maintain the minimalist mindset and refrain from buying two of everything, these steps will only take you so far. You need to find discounts. 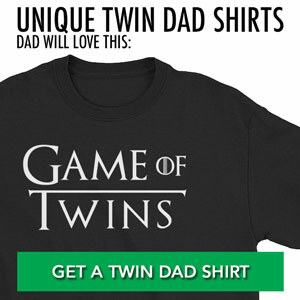 There are some baby gear items that you will have to buy a pair of for use by your twins. 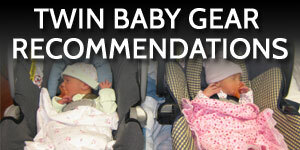 These include car seats, cribs, high chairs, playpens, and baby carriers (like a BabyBjorn), among others. 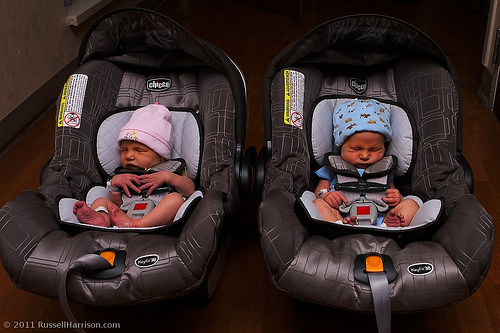 For example, we bought our car seats for the twins from Babies R Us (unfortunately, now out of business). They gave us a “twin discount” of 10% off since we bought two of the same thing. Other stores may also give you this deal too. Remember: it never hurts to ask. If you are shopping at a smaller, local business, you may even have better luck since you’re more likely to garner sympathy from the more attentive business owner or store employee. 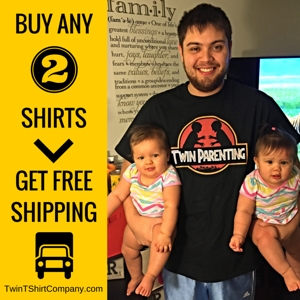 To get started, here is a great list of freebies and discounts for twins. 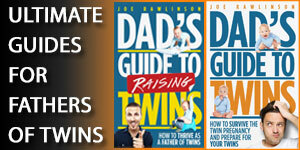 You’ll find more discount opportunities in my book, the Dad’s Guide to Raising Twins: How to Thrive as a Father of Twins. 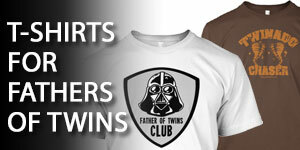 I also found a store that is not on your list that is called http://www.Stuff4Multiples.com. They offer 15% discounts on cribs and nursery furniture for twins and 20% off for higher order multiples. I love your blog. Thank you for helping us parents of multiples out! !